Let me start off by saying that I love Joshua Tree National Park! There is just so much to see and do. The park is only an hour from Palm Springs, California and it is easy to get around. 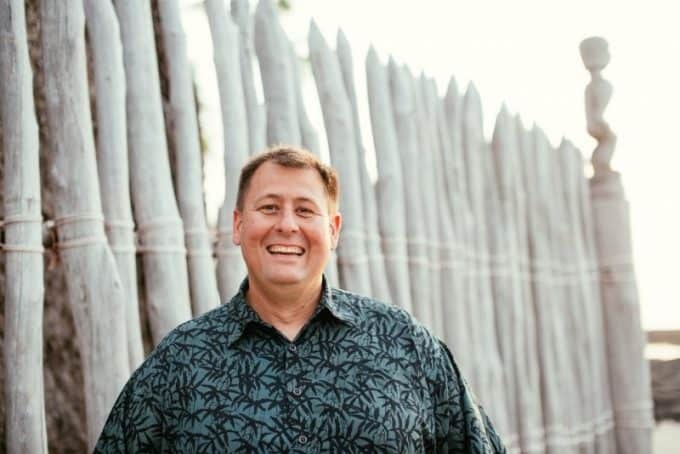 We were able to see so much in a short period of time making for a great experience. I would say that we just scratched the surface of this park and could have easily spent more time. I would suggest that you take the time to drive the Pinto Basin Road and see the transition zone between the Mojave and Colorado Deserts. 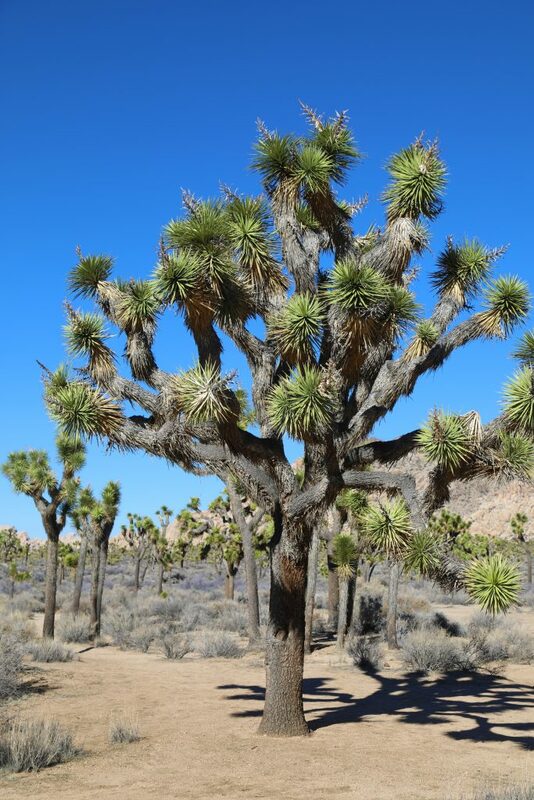 Here is a list of 10 things to do in Joshua Tree National Park. 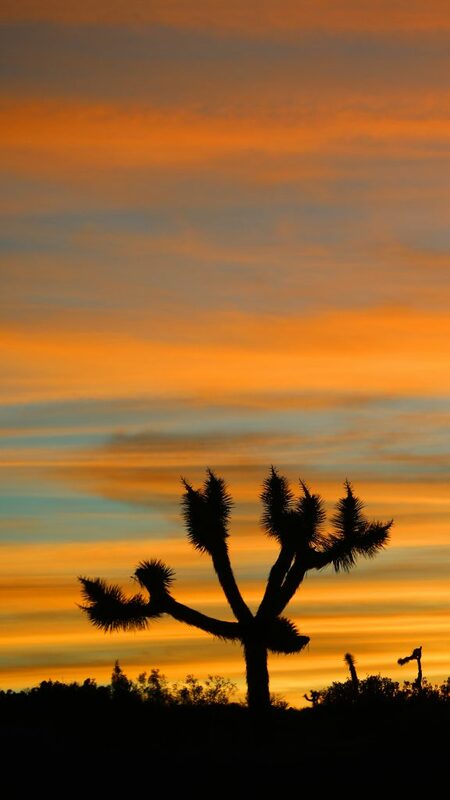 Each sunset in Joshua Tree will capture your imagination! The brilliant reds and yellows cover the sky creating a background that looks magical, throw in some of the parks Joshua Trees in the foreground and you will have yourself an amazing photo that all your friends will be raving about. You can find the Cholla Cactus Garden on the Pinto Basin Road. 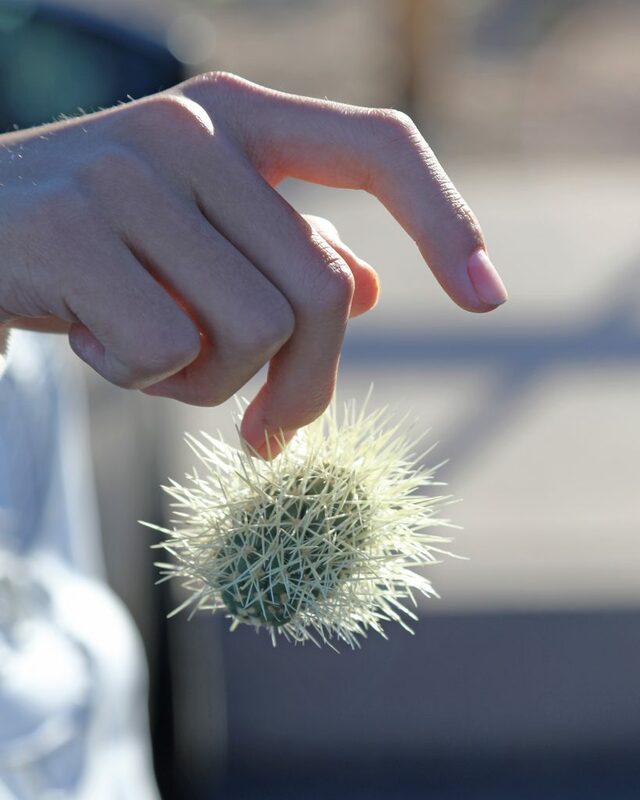 This area is dominated by the famous jumping Cholla Cactus, also known as the Teddy Bear Cholla. There is a nice ¼ mile loop hike through the middle of this beautiful cactus garden and they really seem to light up around sunset. Just a word of caution, avoid sandals and stay on the trail. Do not attempt to touch or rub up against them! They easily attach to you and are very unpleasant to remove. We always come prepared and my wife even did minor first aid to an unfortunate victim while we were there. 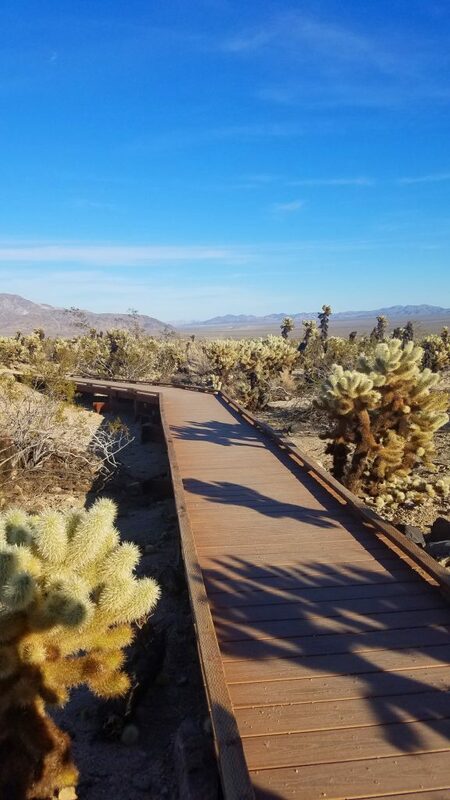 The Bajada Nature Trail is located at the very south end of Pinto Basin Road next to Interstate 10. It’s a great ¼ mile loop trail with several interpretative panels describing the Colorado Desert. There are examples of Ocotillo, brittle brush, smoke tree and several species of wildlife that can be seen too. There is also breathtaking views of the Cottonwood and Eagle Mountains in the background. Make sure that you pick up a brochure at the beginning of this 18-mile driving tour that starts off Park Boulevard between Jumbo Rocks and Sheep Pass. In good road conditions, most passenger cars can make it the first couple miles to stop #9. Afterward, it is recommended only for Four Wheel Drive vehicles as there are deep ruts and soft sand to navigate. There are 16 stops along this dirt road and takes approximately two hours to complete. 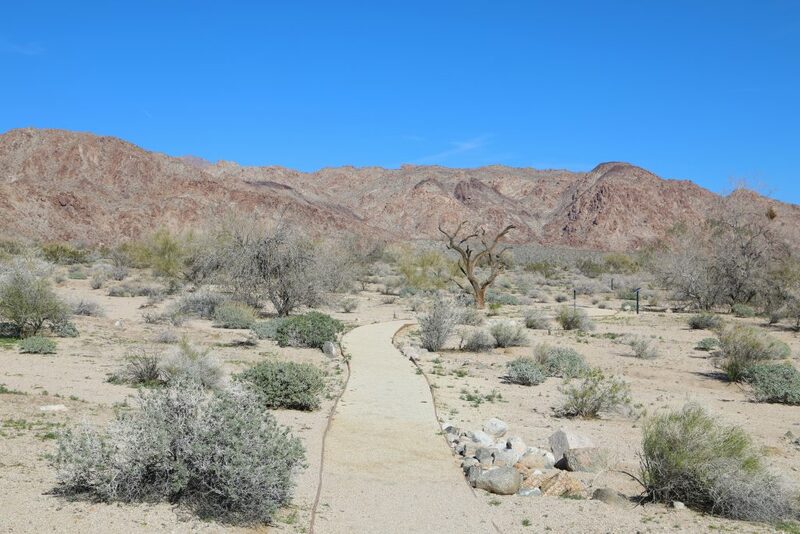 You will be rewarded with seeing some of Joshua Trees most fascinating landscapes! 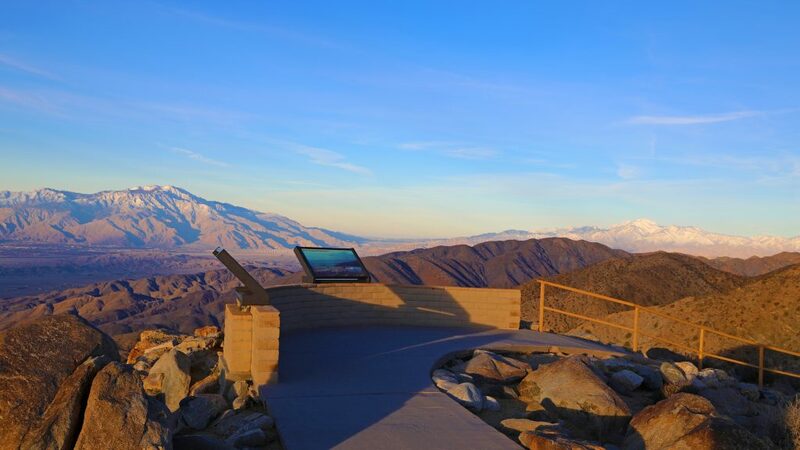 The Keys View overlook is perched on the crest of the San Bernardino Mountains. This viewpoint looks down from 5185’ to the expanse valley below filled with windmills and mountains. If you look close enough you will find the San Andreas Fault in the valley below. On a really clear day, you might be able to see Signal Mountain in Mexico! Let’s face it, everyone comes to Joshua Tree to see Joshua Trees! Whether you are a U2 Fan blaring “With or Without You” while cruising down the road or you are just interested in seeing this Yucca Tree that pretty much only grows in the Mojave Desert, they are amazing to stand next to. I suggest to get out and walk up to them and get your photo. They photograph beautifully at sunset too. Most people don’t think of wildlife when they think of deserts. This is not true at all, especially somewhere like Joshua Tree National Park where two distinct deserts meet known as a transition zone. Some of the parks residents include Bighorn Sheep, Chuckwalla, Greater Roadrunner, Desert Tortoise, Desert Iguana, Cactus Wren, Black-Tailed Jackrabbit, kit Fox, Kangaroo Rats, and Southwestern Speckled Rattlesnake. I am not a rock climber but I have to admit that I am fascinated with it. We saw several rock climbers at the parking lot opposite to the Hidden Valley Trailhead. We found ourselves watching them for quite a while! We then found out that there is a company that teaches rock climbing here in the park. 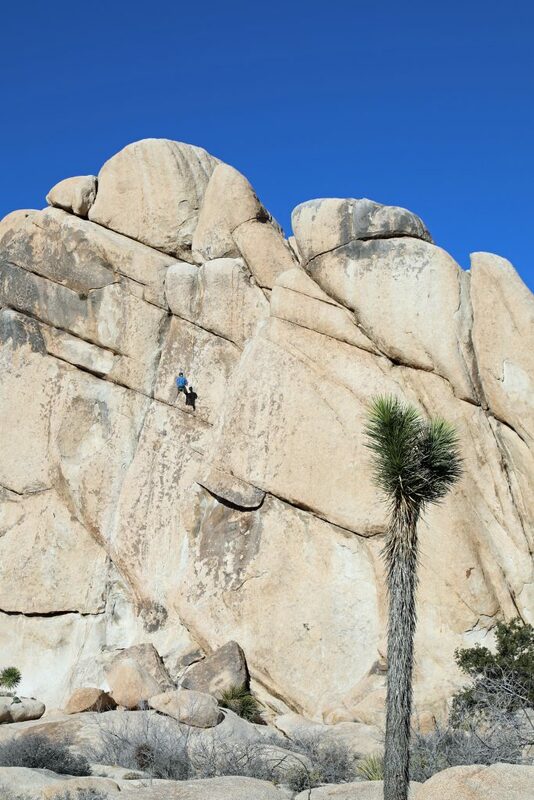 Now there’s a great excuse to visit Joshua Tree, You can visit the park and learn rock climbing too! Hopefully, this has inspired you to visit Joshua Tree National Park. There is so much more to see that the ten listed things but it will give you a great start to planning that epic adventure! 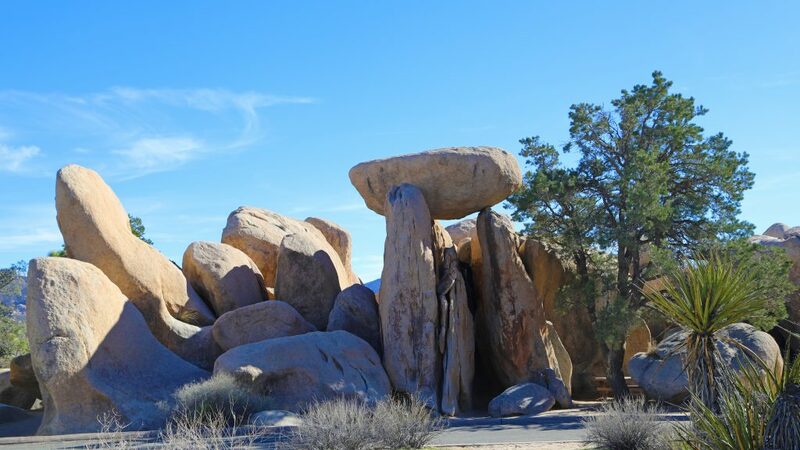 Check out our post with great Joshua Tree National Park Travel Tips! 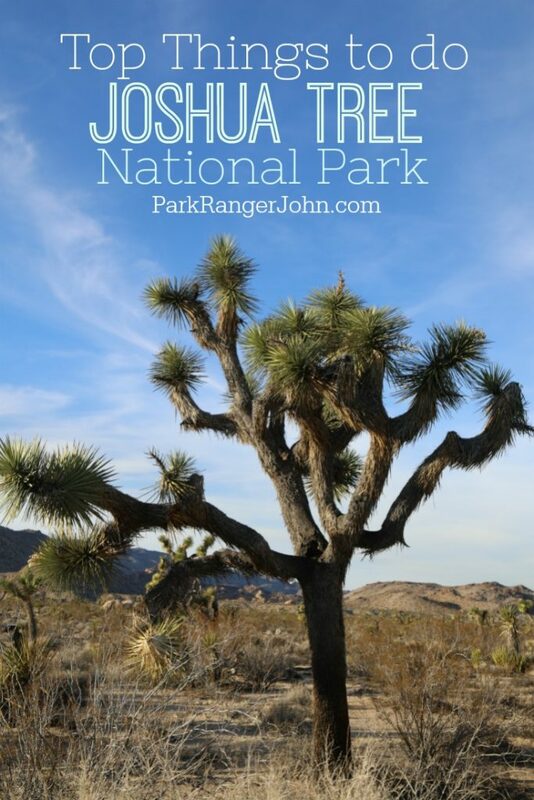 Head over to here to check out all of our Joshua Tree National Park articles!